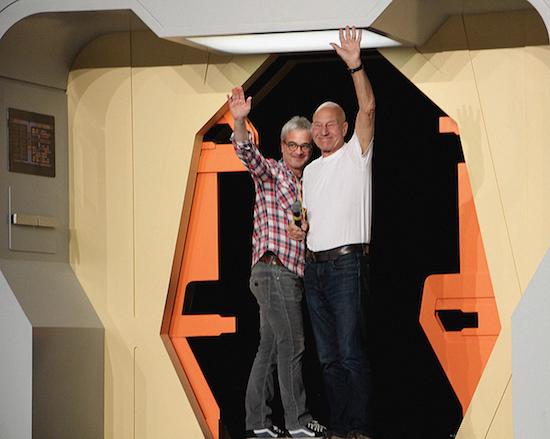 Executive Producer Alex Kurtzman and Patrick Stewart surprised fans today at Star Trek Las Vegas convention with the news that Patrick will be returning to the iconic role of Picard for a new “Star Trek” series coming to CBS All Access. Photo Cr: Bill Burke/CBS ÃÂ© 2018 CBS Interactive. All Rights Reserved. The STAR TREK universe continues to expand on CBS All Access, and one of the most intriguing elements is the upcoming Patrick Stewart-led series. Are you excited to see the new Picard series?